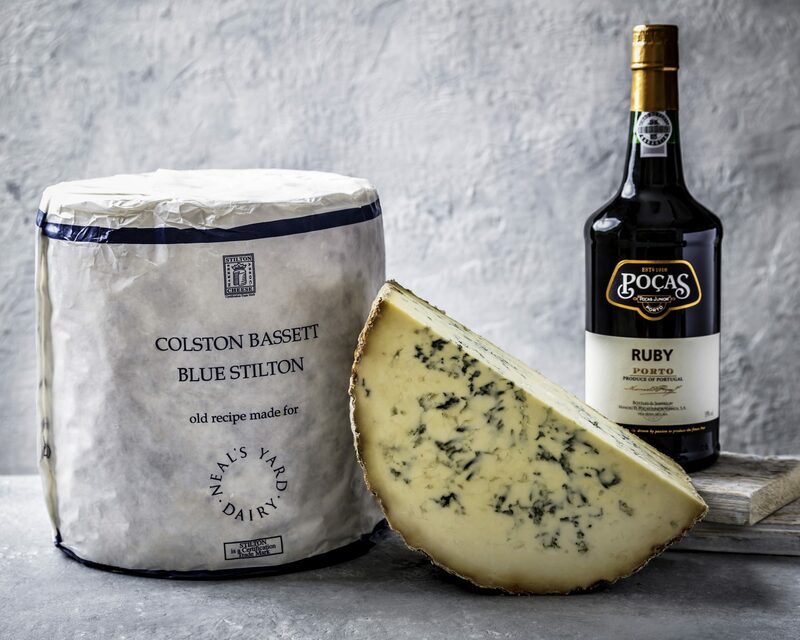 This is the perfect gift for any true aficionado of Lancashire cheese. 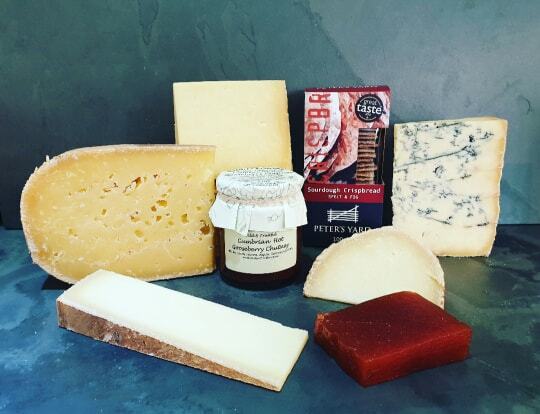 A great selection of Mrs. Kirkhams famous Lancashire cheeses, with local Ploughmans Pickle and some artisan crispbreads. 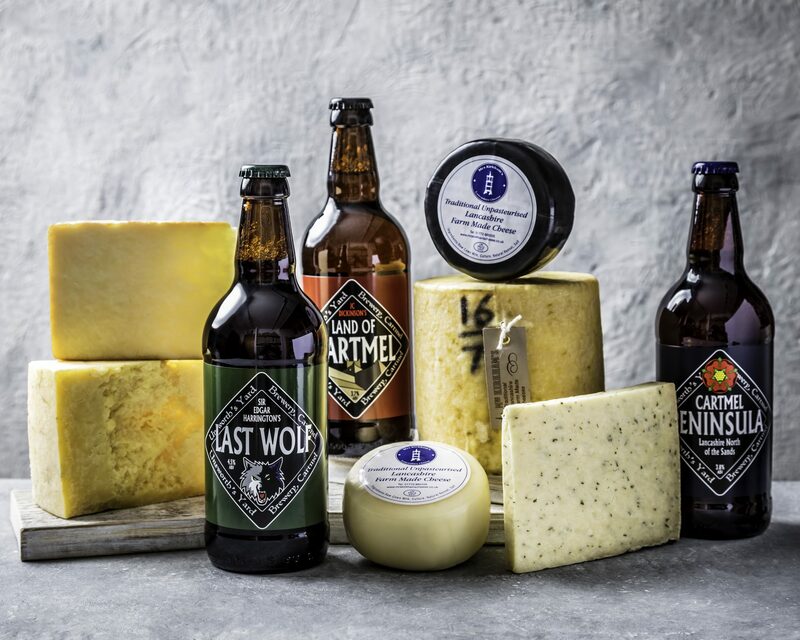 Baby Lancashire, 2 x Wax Truckles, Smoked Cheese, Garlic & Parsley Cheese and Mild & Creamy Lancashire. 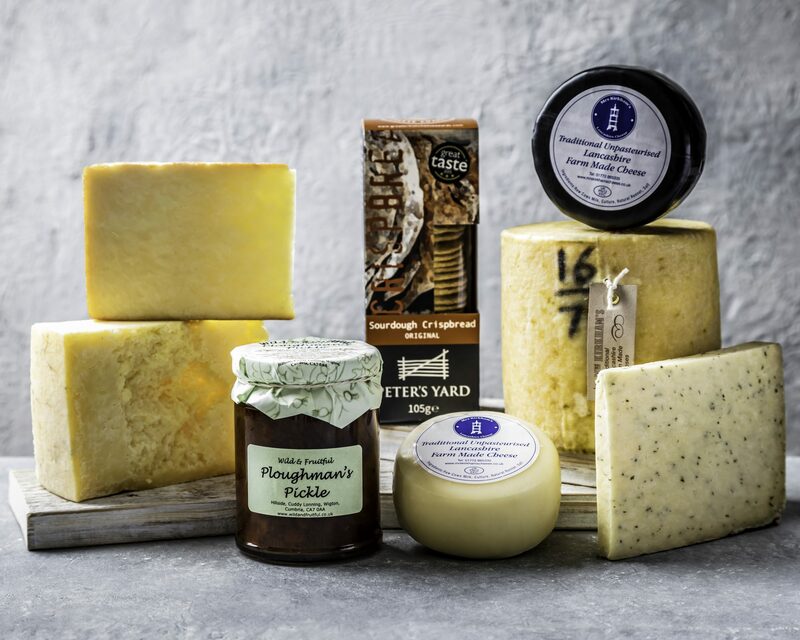 It also includes a packet of the delicious Peter’s Yard crispbreads and a jar of Wild and Fruitfuls Ploughman’s Pickle to enjoy with your cheese.